Featuring a solid cast delivering perfect performances Win-Win has the elements for a cute and safe bet for a summer flick. The safe narrative of the film may in fact be its weakest point, there is no room to think as the film never poses the real intense questions that the topics in the film dances around. Regardless, Win Win has clever moments with a few good belly laughs in between. Mike (Paul Giamatti) is an attorney who is on the cusp of losing his practice and is also the head coach for a winless local high school wrestling team. His court-appointed client, Leo (Burt Young), has been deemed incapacitated to live on his own and Mike finagles his way into becoming Leo’s guardian after realizing by doing so he can enjoy a $1500 a month check, enough to keep his family and his practice afloat. Kyle (Alex Shaffer), Leo’s grandson is sent to take care of Leo until he realizes that Mike has sent Leo to a assisted living facility and Mike takes in Kyle. Mike adds Kyle to the wrestling team after learning that Kyle had won second place at Ohio state championships. Everything seems to be fitting into pace perfectly until Kyle’s mother re-appears. Win-Win is supported by the fantastic cast, with some talents providing some of their best roles in years, if ever. Jeffery Tambor plays Mike’s assistant coach and has a much more subdued role than previous roles and follows through with his character. Amy Ryan, best known for her role as Holly in The Office, plays a pitch-perfect heart-warming mother and even displays those subtle nuances that truly express her character’s motherhood. However, it is Shaffer who nearly steals the show. His character, a typical teenager, is brilliant and talent, and is held back by his mother. Kyle is the link to all of Mike’s frustrations and conflicts and Shaffer’s performance is very much believable. 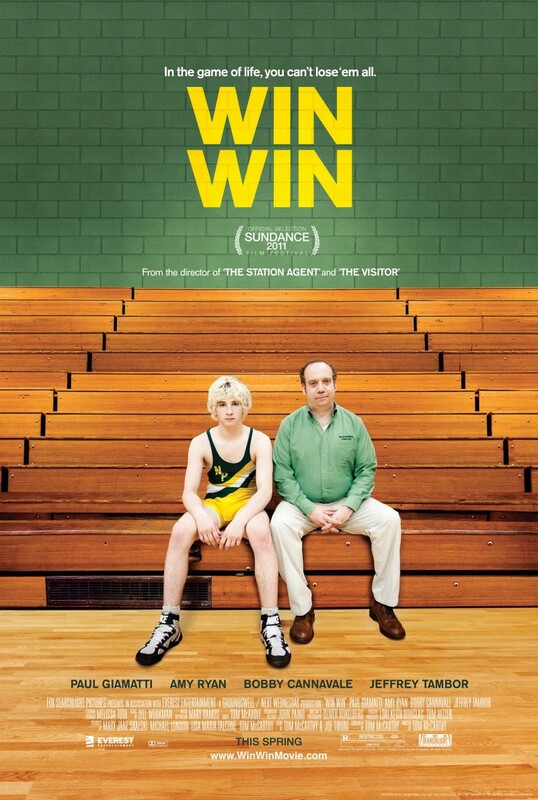 Win Win is your typical Indiewood film that has the independent mentality with the marketing support of Fox Searchlight Pictures, the independent arm of 20th Century Fox. It is certainly well written and it does have typical Indiewood beats that keeps the film moving along at a steady pace. Here, the formula works so well that it is nearly invisible—it delivers an easy-to-consume story that is never kitsch or overly sentimental. As stated earlier, the film is such a safe bet, even the cinematography is framed in a simple manner. There are some questions of morality posed in the film and there are instances that many adults may have to face in their daily lives when it comes to the livelihood elderly parents who are slowly losing the ability to care for themselves. Early in the film, Mike experiences a medical episode that is directly related to the stress in his life. Despite all the new conflicts that arise in the film, Mike never has a similar episode again. This is just one of the risks that could have been taken to add extra texture to the film and take it a riskier level. If you take away the formulaic Indiewood narrative and focus solely on the performances in the film, Win-Win is very much a safe bet for the summer season. It is well-written and the performances were excellent. It is the perfect mindless summer flick for the mindful cinemagoer.